David E. Simon formerly of Simon & Simon, LLP is pleased to announce the formation of The Law Office of David E. Simon, a Professional Corporation serving the South Bay Area. 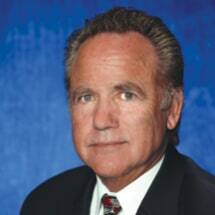 David E. Simon, admitted to The State Bar of California in 1969, holds a Real Estate Broker License, is 39 year member of the Consumer Attorney Association of Los Angeles and has served as President of the Manhattan Beach Chamber of Commerce and the Manhattan Beach Kiwanis. He served as President of the Hawthorne Chamber of Commerce for two terms. David also served as the Chairman of the Board of the Centinela Valley YMCA.David has served the South Bay communities for the last 40 years in a variety of capacities. As an attorney, he has engaged in a general civil practice with emphasis on probate, wills and trusts, real property, corporate and business law, and general civil litigation. David is also a Real Estate Broker, who served as President of the Hawthorne/Lawndale Board of Realtors in 1983, after which he continued to serve as a Director of the Board. For seven years he served as a Planning Commissioner for the City of Manhattan Beach.